In a text entitled La doctrine laitière (The Dairy Doctrine) published on January 10 in “La Presse+,” Sylvain Charlebois delights in the fact that a preliminary draft of the upcoming Canadian Food Guide published by “La Presse+” no longer seems to give dairy products the top billing that they enjoyed in the current version. Several columnists pointed out earlier this week that the food guide should be based on science. They are right! But the problem is that the direction taken in the preliminary versions of the next food guide does not fully reflect what science is telling us. 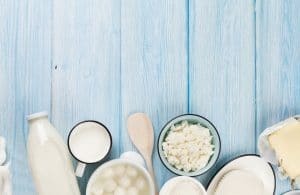 In its review of the scientific evidence that serves as the basis for the new guide, Health Canada itself acknowledges that the population does not consume enough dairy products. Its review of the evidence notes that milk is a major source of protein, calcium and other essential vitamins and minerals and that Canadians do not consume enough of them. The scientific evidence also confirms that milk’s nutrients are not only associated with a number of benefits for bone health, but also reduce the risk of heart disease, strokes, high blood pressure and colorectal cancer. The milk lobby has nothing to do with the fact that milk proteins are more complete than plant-based options; dairy products are naturally so and this is backed by science. The question is what brought Health Canada to take this radical change of direction? While the typical criticism of the dairy lobby is that it is all-powerful, other lobby groups appear to have grabbed Health Canada’s full attention, given the fact that it is recommending this new direction and ignoring its own scientific evidence. Furthermore, Sylvain Charlebois criticizes milk producers for spending amounts of money that “few businesses can spend” to “hammer home endless slogans and ads into consumers’ heads.” He mentions the $85 million advertising budget. Aside from the fact that a portion of this budget goes to research and development aimed at innovating our industry, this amount equals 1.2% of on-farm milk sales in Canada, which are $7.2 billion. What entrepreneur invests so little of its revenue into promoting its product? One of our industry’s strengths is that we successfully work together. The approximately 10,000 milk producers in Canada are small entrepreneurs who pool their resources in the interest of promoting their products, so that they compete with (frequently less local and much more processed) products from multinational companies with promotional budgets that Mr. Charlebois fails to consider. The collective work and solidarity of milk producers are entirely to their credit and constitute success factors that should be celebrated, not denigrated. This rebuttal was sent to La Presse but has not benn published.